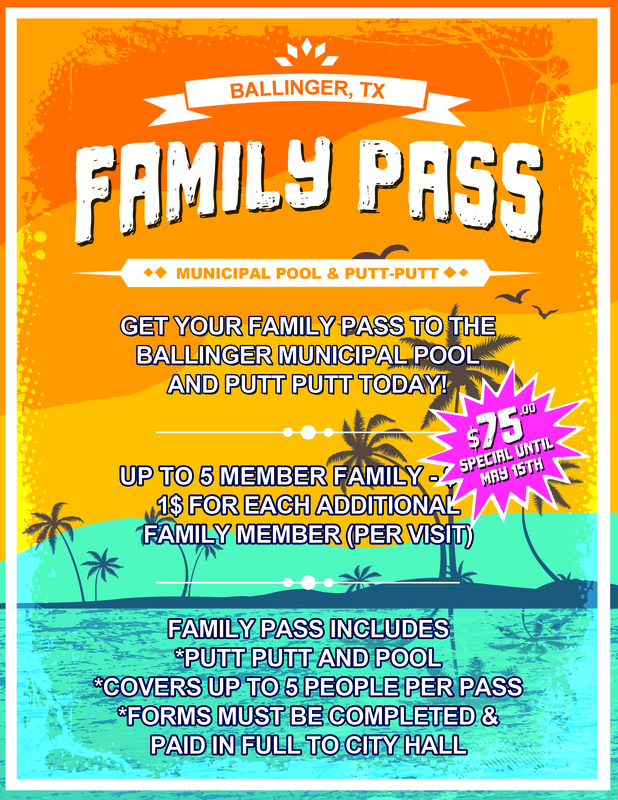 The City of Ballinger is offering Pool and Putt-Putt Season Passes for $75 dollars through May 15th. The passes will go up to $100 after the 15th. Each pass will make the Ballinger pool and putt-putt available to holders through-out the summer (during regular open hours).